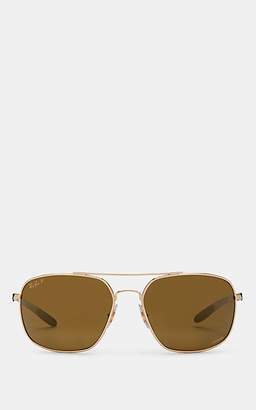 Details Ray-Ban "RB3584" aviator sunglasses. Eye/bridge/temple (in mm): 61-13-145. Gradient smoke lenses. Cutout bridge detail. 100% UVA/UVB protection. Made in Italy. Proposition 65 WARNING: Eyewear contains bisphenol A (BPA), a chemical known to the State of California to cause birth defects or other reproductive harm. 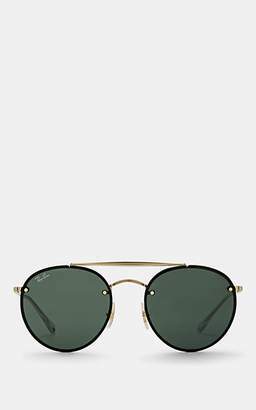 Designer About Ray-Ban: Since 1937, the name Ray-Ban has been associated with some of the most iconic styles in the history of sunglasses. 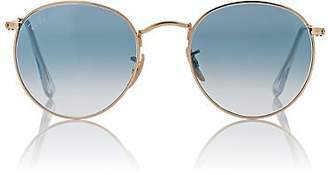 From the style worn by pilots during World War II (the Aviator) to distinctive black frames favored by movie stars and musicians (the Wayfarer), Ray-Ban is behind many enduring looks of modern pop culture. 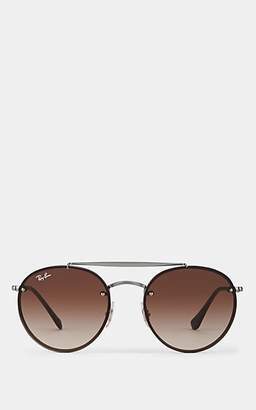 High on style, Ray-Ban sunglasses are also lauded for impressive quality and sun protection.